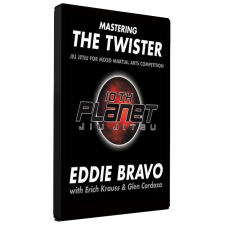 In his best-selling jiu-jitsu book, Mastering the Rubber Guard, Eddie Bravo lays out his entire half guard game, his entire butterfly guard game, and the secrets of the infamous Rubber Guard. Now, for the first time, Bravo unveils his entire guard system on DVD. 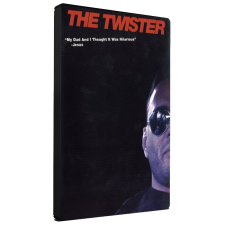 The box set includes three DVDs that contain hours upon hours of easy-to-understand instructional training and live rolling. 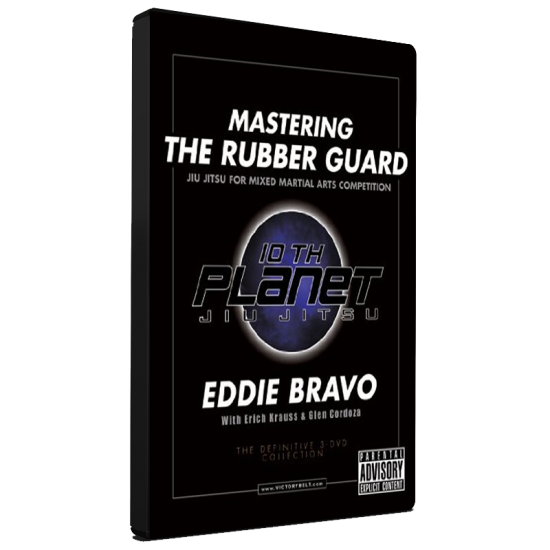 The collectors set covers the half guard, the butterfly guard, the entire Rubber Guard, escapes back to guard, and Spider Web. 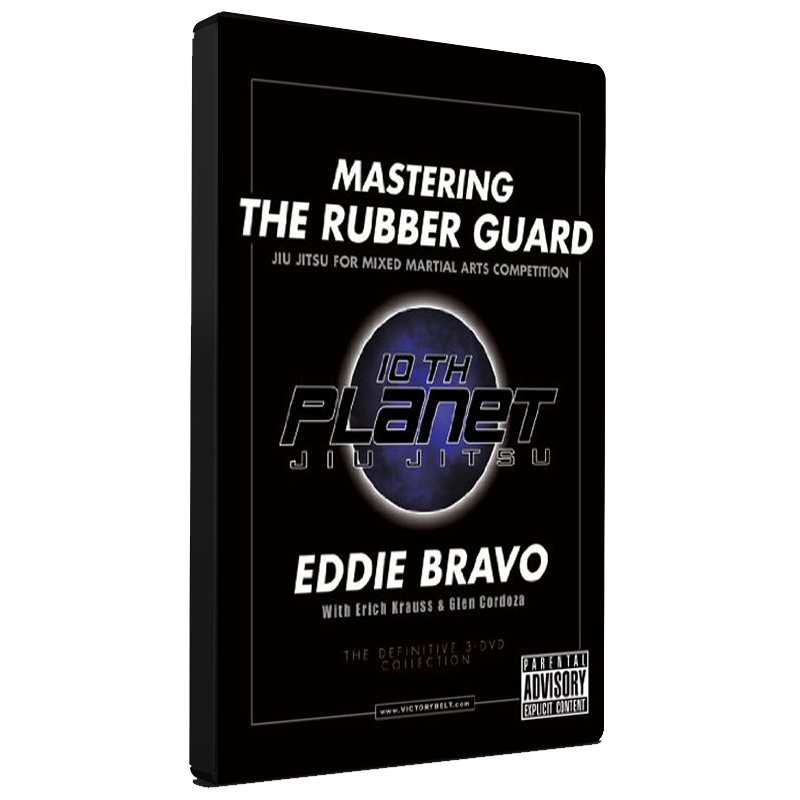 Unlike the majority of martial arts instructional DVDs that can bore a viewer to tears, Mastering the Rubber Guard (DVD) contains hours of bonus footage, including comedy sketches, Eddie Bravo music videos, and never-before seen footage where the Victory Belt Staff punks Bravo at the 10th Planet Academy with a pretty girl and an angry 300-pound meathead.